Need some new beach towels? 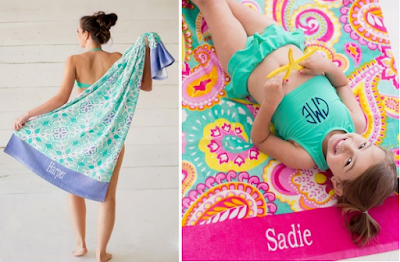 Get these Large Personalized Beach Towels for $18.50, down from $29. I love that this is longer than regular towels. You may choose name or monogram. If choosing monogram, Please put initials in the order of First, LAST, Middle. Shipping is free on orders over $50.00, or $5.95 for this item. 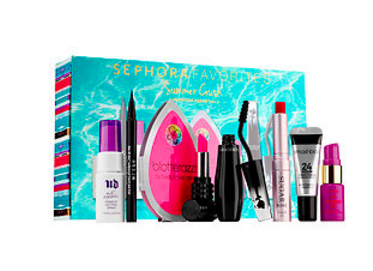 You may also want to consider becoming a Sephora Flash Member as you get free 2-Day Shipping on all orders for a year, and it's only $10.00 to join. RUN over for this deal because it won't last long! Right now you can snag Legging Grab Bag / 3 Pair for ONLY $8.99 (Retail $49.99). No matter what season, printed leggings create the perfect outfit! The fun stylish prints come in a variety of darling colors and styles! Customers rave over the ultra-soft material, making them comfy for your little ones to be the active kids they are! Fits true to size. Due the the stretch material leggings fit a wide range of sizes. We recommend ordering the size you would typically order for your child. 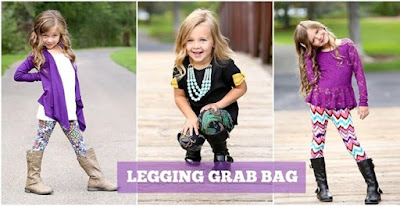 Grab bags include 3 pairs of printed leggings. Leggings styles can not be requested at this time. Returns must include all 3 pairs of leggings. $4.99 for the first item and $3.99 for each additional item. US only. Estimated to ship by Thu, Jun 23. Seller usually ships within 2 business days. Grab a pair of Moisture Wicking Athletic Capris for JUST $9.99 (Retail $35.99). Our Moisture Wicking Heathered Athletic Capri's will make working out and getting in shape this spring much more fun! We love the three bold and bright colors these will surely add a fun pop of color and help motivate you to accomplish your goals. Style with your favorite active wear top and athletic shoes. The material is super soft and stretchy and perfect for working out. Today ONLY you can score a FREE Personalized Mug from Tiny Prints! To get your FREE mug use promo code FREEMUG4U at check out. Shipping for me was around $10, but that's still a great deal for a personalized gift! 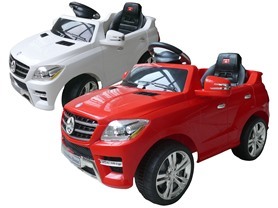 Kids will have fun with this Mercedes ML350 6V or SLS 6V for $129.99 - $134.99.